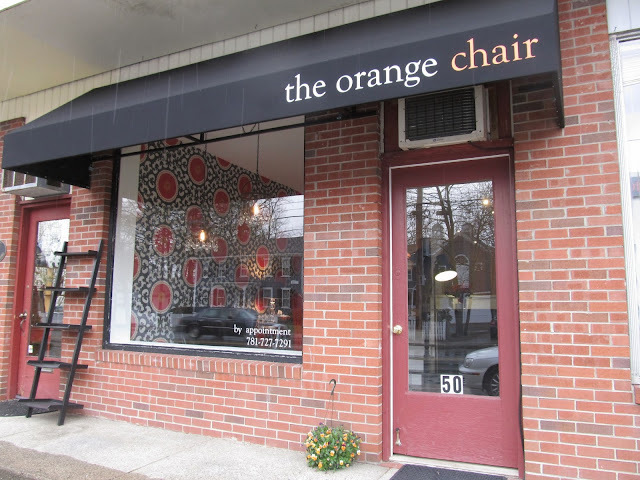 The Orange Chair Salon at 50 Great Road is now open. 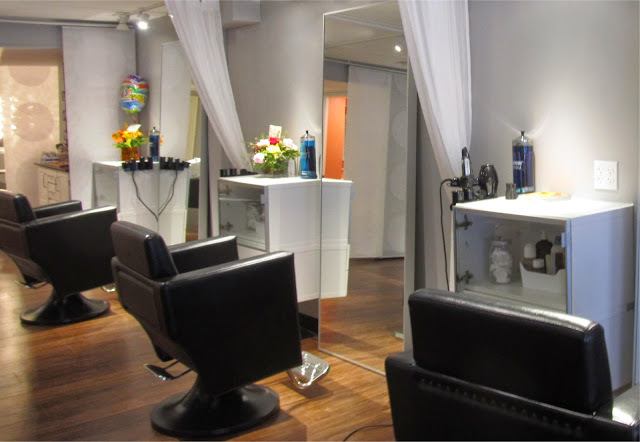 It replaces Salon Alfonse which closed last fall. I recently spoke with Alex Guelli, the owner and Lead Stylist of the Salon. Alex has been a Licensed Stylist for 4 years working at various Salons in Bedford. She first started her training at a vocational high school before attending Empire Beauty Academy. After Empire, she took additional classes with Vidal Sassoon and Debra Macki that also included sessions on how to run a Salon type business. It has been her long term personal goal to open a Hair Salon by the time she turned 21. Alex had built a client base in Bedford over the past few years and really liked the town so she looked to open a Salon in Bedford. 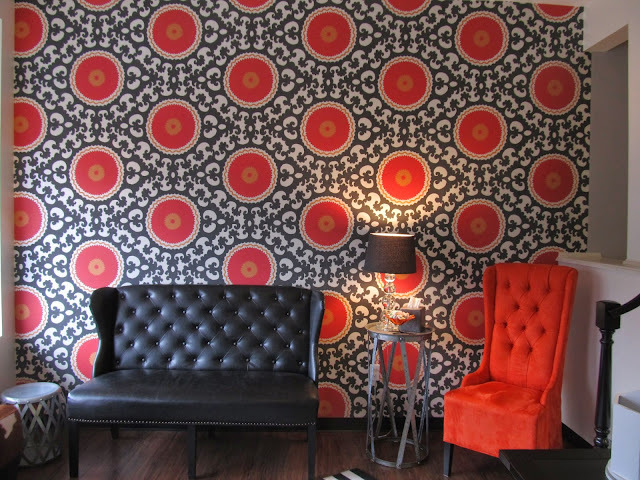 After finding the location, she decided to do a total renovation to give the Salon a different look than most of the existing Salons in the area. Alex wanted more of a Newbury Street feel that was more fashion conscious. According to Alex, the build out took 14 weeks and was both a lot of hard work and fun. The interior has been totally refurbished, giving the new Salon a more modern chic look. Note the Orange Chair. Alex mentioned how her Grandfather would always pull out an Orange Chair whenever he would cut any of his kid's (which included Alex's Father) hair which is how she came up with the name. 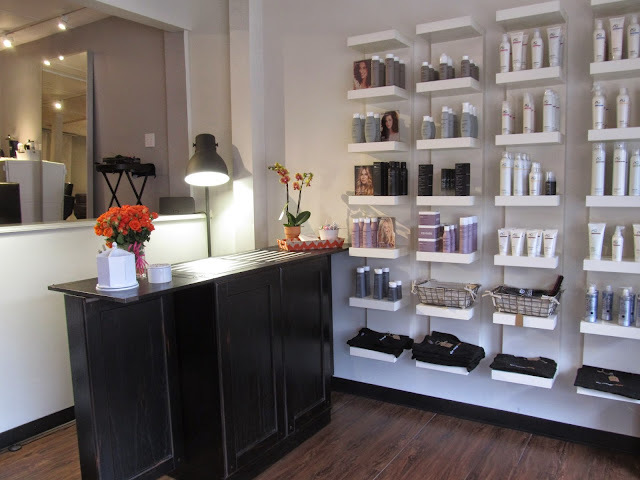 The Salon also sells Living Proof and AG hair products. The Salon has been open for a few weeks. Most of her clients are from Bedford or the surrounding towns. Alex is very excited to be running the business and loves to get feedback from customers. One thing that is unique about the Salon is they are very accommodating to client schedules. They have both very early and very late appointments for clients that want to get their hair done before or after work. 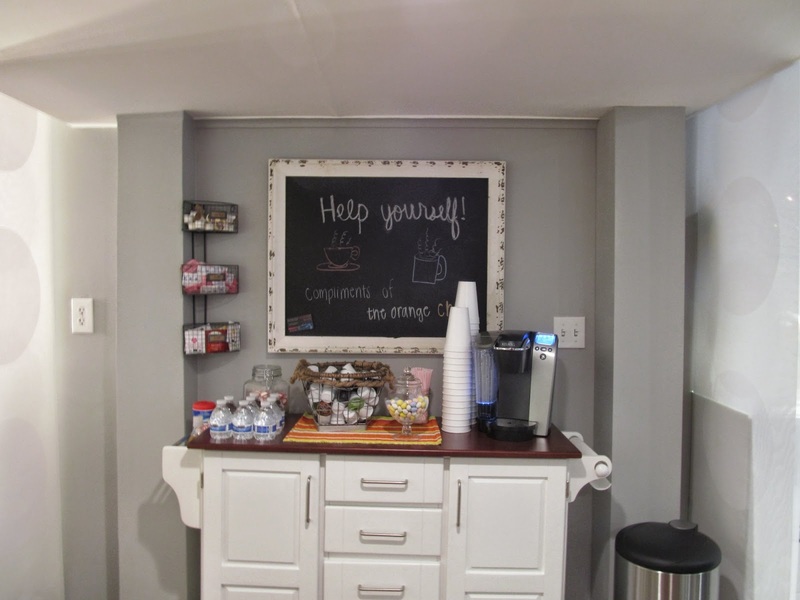 Free coffee and other beverages are available to clients. In addition to Alex, the Salon currently has another Stylist and Alex is planning to add more Stylists and support staff over the next few months. 1. It's good to see the entrepreneurial spirit in someone just out of school. 2. 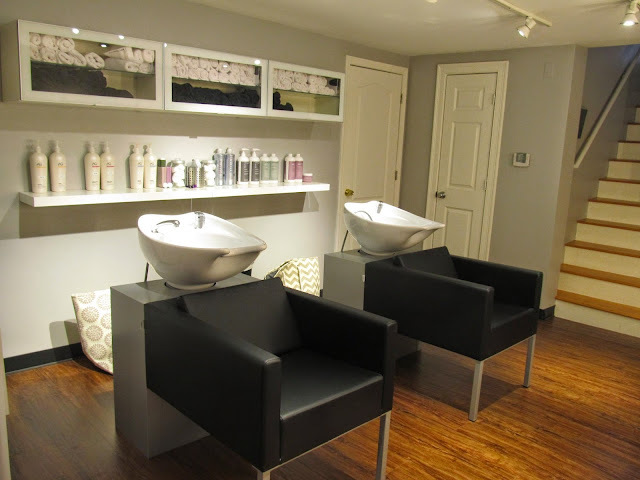 In addition to the Orange Chair, Bedford has seen a lot of new beauty and hair services places opening in the past year or so including Bedford Organic Nail, Pino Colasane Hair Studio and Great Clips.